Seattle Sports is sponsoring us and provided us with three frost pack coolers. Here’s the skinny about these soft-sided vinyl coolers. So..whats up with these coolers and why are we taking them on our expedition? First, Kouji, the expedition leader has been using them for about 10 years. He swears by their durability especially because they have this bombproof heavy duty vinyl liner guarding the outside but the biggest benefit comes in that they are soft-sided coolers with the ability to keep your stuff cold all day. 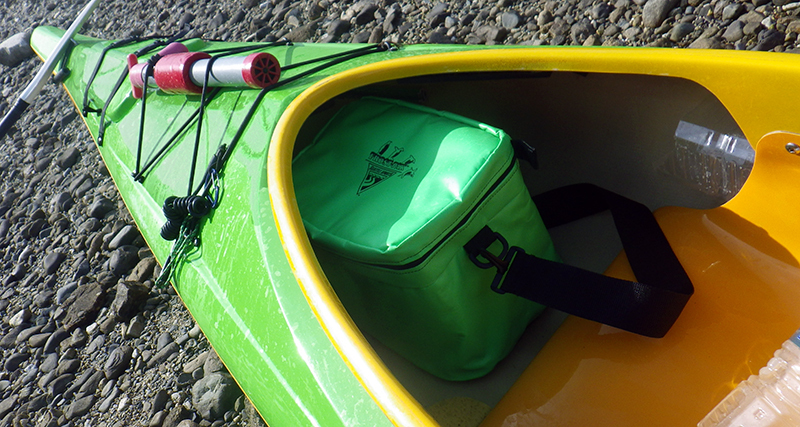 When compared to a normal cooler of this size, which would absolutely not fit in the small and oddly shaped hatches of a kayak, these can be pushed and squeezed to fit into those tight spaces. 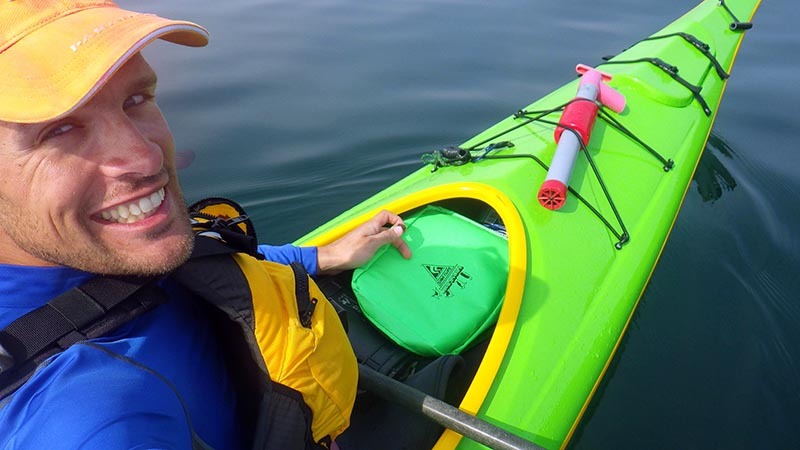 Also, and arguably the best benefit for kayakers is that these can hold your days worth of food comfortably between your legs for those times when your happen to be kayaking 200K from Japan to South Korea and the only time you can get out of the kayak is after 13 hours of paddling to your first rest stop, an island 70K away.